Interdepartmental envelopes are ruled for interdepartmental routing with five columns across. Column headings include date, deliver to, department, sent by and department. Holes allow visual acknowledgment of contents. String-and-button closure secures the envelope and its contents. 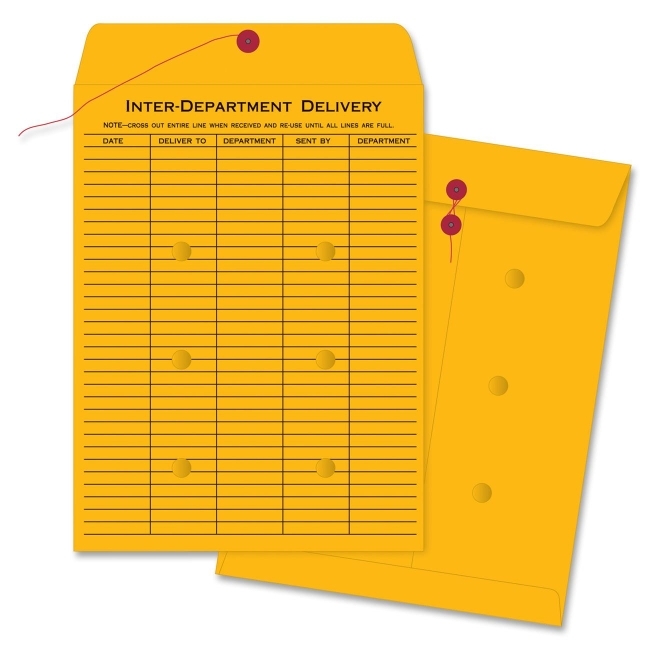 Envelopes are printed on both sides and made of 32 lb. Kraft stock.